Nowadays, the power used in buildings across the globe accounts for over 40% of all energy consumption and that has a significant impact on the environment. However, with smarter energy management, buildings can easily emit up to 60% less CO2. With the European Union looking into making energy consumption standard a lot stricter, it’s definitely time you considered how you can make your home heating system more environmentally friendly. Within the heating industry, Stelrad has a major role to play in terms of developing efficient and eco-friendly systems for your home that easily produce heat at lower temperatures. The Stelrad Radical radiator is the perfect radiator system to install in your home if you are looking to decrease your carbon footprint. The new Stelrad Radical Radiator series can easily produce more heat than traditional radiators. This means you can enjoy saving money on your home heating system while raising comfort levels. The reduced cost to the user makes this a popular choice, particularly when you factor in how environmentally friendly it is. When it comes to choosing the right home heating system for you, your choice of radiator will determine how comfortable your home feels, as well as how much this comfort will cost you. When you are spending a lot of time in a draughty room, 20°c can still feel a little chilly. The impressive Stelrad Radical radiator can soon fix this. Plus, the outstanding levels of energy efficiency this radiator model provides can help reduce your bill by up to 10.5%. The Stelrad Radical radiator offers unique direct intake technology. The controlled flow of the water in the front panel of the radiator will reach temperatures of up to 50% higher than a standard radiator model. This means that rooms in your home will heat up quicker, as the Stelrad energy saving radiator will reach its maximum temperature up to 23% quicker than a traditional radiator. This is great news for people looking to improve the efficiency of their home heating system. Your Stelrad Radical radiator will reach peak performance level while a standard radiator is still heating up. In fact, after just two minutes this radiator will offer up to 50% more heat. If you opt for a Stelrad Radical radiator system, you can enjoy a radiator that delivers heat, more efficiently. In a standard radiator, the heat generated typically consists of 80% convection heat and just 20% radiant heat. Radiant heat not only heats a room but also the furniture and people and is then reflected back. This ensures the room feels more comfortable. The Stelrad Radical radiator will increase radiant heat levels by up to 50%. The higher levels of radiant heat mean your heating system will easily achieve the feeling of 20°c. However, this is achieved at a lower temperature. 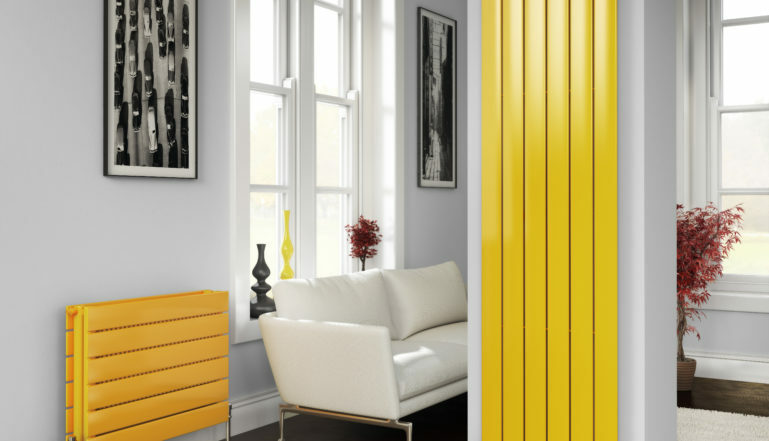 The unique energy-saving technology the Stelrad energy saving radiator employs to raise comfort levels. Also, by working more efficiently, this will help to reduce the overall cost of your energy bills. Already made the switch to a more environmentally friendly heating system? Let us know about your experience in the comments below.